What are the projects to be completed? Why is this important to our church? One commitment of our long range plan is to create and maintain a campus that honors God and that is a magnet to the community. We want our campus to reflect our deep desire to use these facilities, not to serve ourselves, but to strengthen Waco and bring more life to our city. 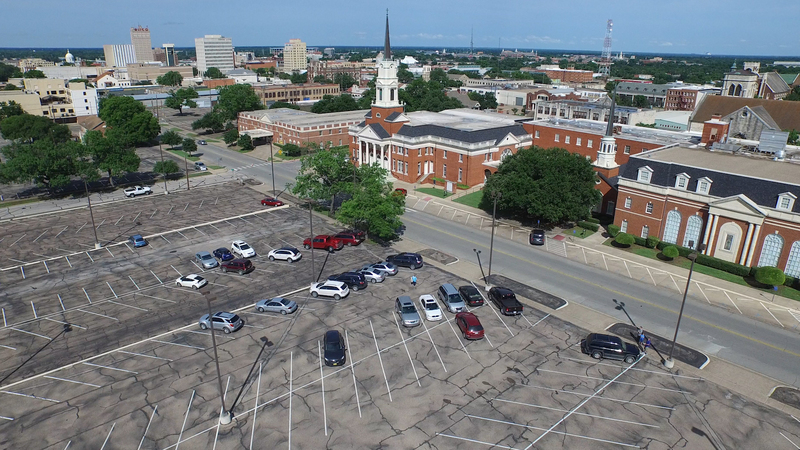 Safe, secure and functioning facilities demonstrate that we are committed to stewardship of God’s resources, that we value the community that we serve, and that we are passionate about seeing the Good News of Jesus shared across Waco and around the world.. In what ways will ministry and mission be enhanced in a manner that is noticeable? Families who frequent the Children’s Building will immediately recognize security and safety measures, in addition to substantial aesthetic improvements. Thousands of community members who frequent theCENTER each week, will find a welcoming and safe facility for personal workouts or programs hosted there. Members and guests in our main campus will not be mindful of sub-standard HVAC systems, leak-stained ceilings, or mildew smells currently present due to malfunctioning and antiquated equipment. Why is this the right time to tackle this initiative? Critical HVAC systems are at the point of failure, which can only increase the cost of repair and maintenance in the future without restoration. Safety and security plans are long overdue – to the point that a failure to follow best practices is apparent. Cosmetic issues (paint, odors and stains) are seen as neglect of God’s house. In subsequent phases, we envision equipping Columbus Avenue for more broadly reaching the community through the addition of welcoming and engaging spaces. Will our scope of ministry be expanded? Phase I focuses on infrastructure needs, but, by addressing critical needs, the church membership renews its commitment to serve at the center of the city and the ability of our church to continue ministry. In addition, the physical restoration of the campus can reignite our inward desire to be engaged in God’s mission 365 days a year. Our estimate of the total project cost is $3.6 million. This includes the architects’ and engineers’ work, construction management, and the actual renovation costs. Can we raise sufficient funds? Yes, by God’s provision and through our generosity. The Columbus365 goal is $3.6 million, through three-year giving commitments from all the families and individuals of Columbus Avenue. We have consulted with Injoy Stewardship Solutions to analyze our giving history and capacity and are confident that the sacrificial giving beyond our normal giving will lead us to achieve this goal. What are some of the ways I can give? Gifts to the campaign can be made in the form of cash, online giving, or non-cash gifts such as stock or distributions from IRA accounts. If you desire to give in the form of non-cash assets, please contact our Associate Pastor of Administration, Jason Phillips, to discuss how these assets can be contributed. How can I support the Columbus365 campaign? PRAY! Pray for God’s continued blessing on our church and provision for the ministries and mission to which God has called us. Pray for wisdom and discernment for our leaders as they make decisions on behalf of our church. Pray for a united spirit of generosity and commitment throughout our church. Pray that we will grow spiritually as we venture out of this journey of faith! LEAD! Use your influence at home, work, and around the community to encourage others to find out about what God is doing at Columbus Avenue. Lead others to make joining the spiritual journey and participating in the Sunday events in October and November a high priority. GIVE! This goal will not be accomplished because a few people give a lot of money, but because each of us give as God has blessed us. Prayerfully ask God to show you what He wants you to give, and then trust Him to provide.